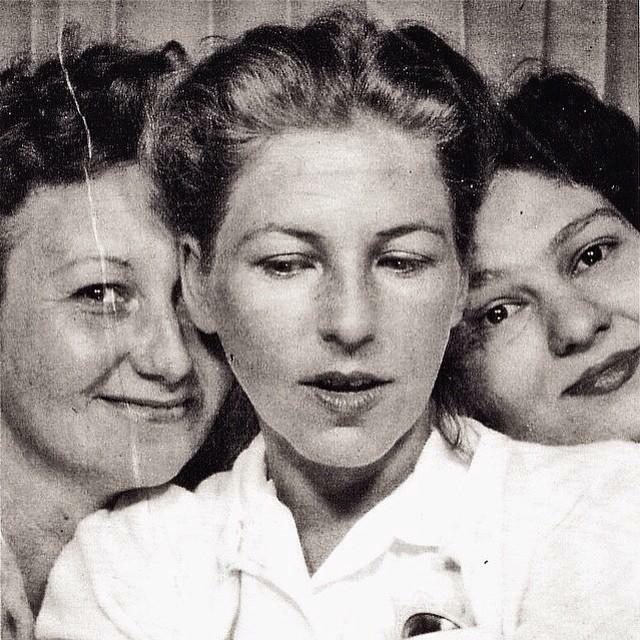 My grandmother and her girlfriends took this in a photo booth sometime in the 1940’s. It’s stunning in my eyes. Although it feels very regal and contemporary, they were simple working class folks. She was half American Indian and one of 13 children living in rural south Louisiana. Girls of her era were married soon after becoming a “woman,” so at 13 she married my grandfather who was about ten years her senior and just back from WWII. By the time she was 20, they had three children. She was an excellent cook, gardener and loved to fish. My fondest memory of her was sitting on the banks of the Pearl River fishing with cane poles while she whistled a folk tune.